We are the foremost manufacturer & supplier of elevated range of Export Cartons. These are manufactured as per the specifications provided by the clients. These are appreciated and demanded for cost effectiveness and varied style. 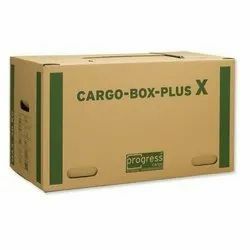 We are a leading Manufacturer & Exporter of Corrugated Boxes such as Plain Corrugated Boxes, Carton Box, Export Quality Box, Cardboard Box, Corrugated Panel Board Boxes and many more items from India. Corrugated Box are widely used in packaging of cargo materials such as readymade garments, printed clothes, soaps, papers and stationary sheets and many more. We are engaged in manufacturing Export Cartons. It is known for its quality among our clients. It is manufactured as per the specification provided by the clients. Moreover, it can also be printed as per the design provided. We provide our clients a wide variety of Export Packaging Boxes which are made up of corrugated sheets. These Corrugated boxes can bear high load capacity and are used for storing groceries and consumer goods. In order to meet the requirements of our clients, these boxes are offered in various shapes and sizes. 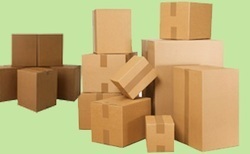 Further, these boxes are highly endurable and can also be recycled. We offer our clients a wide range of Export Cartons, which is very useful in exporting goods. These cartons are made of quality corrugated paper, recycled paper and cardboard to ensure optimum performance. Further, with the help of our machines, we are able to manufacture our range in bulk. These are appreciated and demanded for cost effectiveness and varied style.